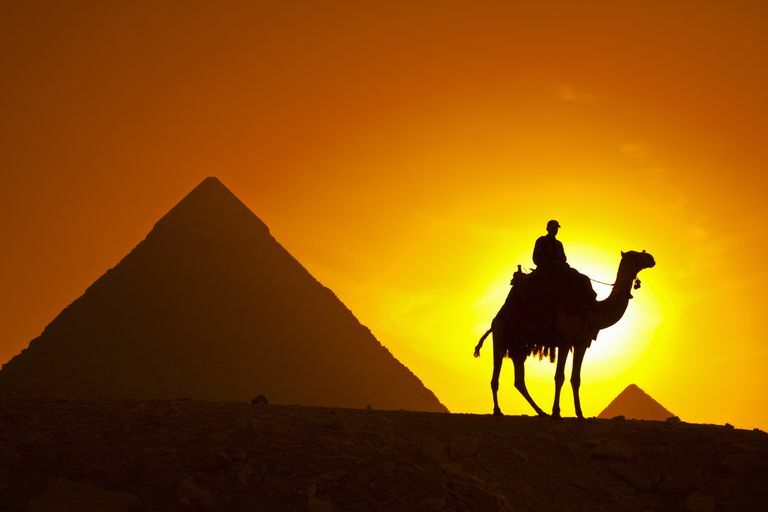 There are sacred places which can be found all over the globe, and some of the oldest are located in Egypt. This ancient culture brought us a vast legacy of magic, mythology and history. In addition to their legends, their gods, and their scientific knowledge, the Egyptians built some of the world’s most amazing structures. From both an engineering standpoint and a spiritual one, the Great Pyramid of Giza is in a class all by itself. Considered a sacred site by people the world over, the Great Pyramid is the oldest of the Seven Wonders of the World, and was built around 4,500 years ago. It is believed to have been constructed as a tomb for the pharaoh Khufu, although there has been little evidence to this effect. The pyramid is often referred to as simply Khufu, in honor of the pharaoh. Many people see the Great Pyramid as an example of sacred geometry in action. Its four sides are aligned precisely with the four cardinal points on a compass - not bad for something constructed long before modern mathematical techniques came into practice. Its positioning also serves as a sundial on the winter and summer solstices, and the spring and fall equinox dates. The website Sacred Geometry discusses this in detail at the article Phi in the Great Pyramid. According to the authors, "At a higher astronomical scale, it is known that the Great Pyramid hides the grand cycle of Precession of the Equinoxes of our solar system around the central sun of the Pleyades (25827.5 years) in many of its dimensions (for example, in the sum of the diagonals of its base expressed in pyramidal inches). It is also well known that the three pyramids in the Giza complex are aligned with the stars in the Belt of Orion. It appears that we can draw a single conclusion from all the preceding: the architects of the Great Pyramid of Giza were extremely wise beings, with an advanced knowledge of math and astronomy far beyond the standard of their time..."
On a metaphysical level, for some belief systems the Great Pyramid is a place of great spiritual significance. If the Great Pyramid was used for religious purposes - such as a temple, place of meditation, or holy monument -- rather than as a tomb, then certainly its size alone would make it a place of wonder. Although all evidence points to it being a funerary monument, there are several religious sites within the pyramid complex. Specifically, there is a temple in the small valley nearby, by the Nile River, and connected to the pyramid by a causeway. The ancient Egyptians saw the shape of the pyramids as a method of providing new life to the dead, because the pyramid represented the form of the physical body emerging from the earth and ascending towards the light of the sun. Dr. Ian Shaw of the BBC says that aligning the pyramid towards specific astronomical events was done with the use of the merkhet, similar to an astrolabe, and a sighting tool called a bay. He says, "These allowed construction workers to lay out straight lines and right-angles, and also to orient the sides and corners of structures, in accordance with astronomical alignments... How did this astronomically based surveying work in practice?... Kate Spence, an Egyptologist at the University of Cambridge, has put forward a convincing theory that the architects of the Great Pyramid sighted on two stars (b-Ursae Minoris and z-Ursae Majoris), rotating around the position of the north pole, which would have been in perfect alignment in around 2467 BC, the precise date when Khufu's pyramid is thought to have been constructed." Today, many people visit Egypt and tour the Giza Necropolis. The entire area is said to be filled with magic and mystery.